Journey Church has deep relationships with ministry partners in Ethiopia. There are more than 4 million orphans in the country, and that number is growing fast! In the capital city Addis Ababa, there are 250,000 homeless orphans; many of these do not reach adulthood. Since 2009, Journey Church has been busy working with God and Ethiopian partners in Ethiopia. What will we be doing in Ethiopia? The primary focus of this short-term service trip will be to teach English to kids part of the Bring Love In homes in Addis Ababa, Ethiopia. Think summer-camp-style English games, lessons, and of course, soccer! $3,500 is the base price of the trip. Your trip will cost more if you need a passport and/or current shots. Yes. Traveling outside the United States requires an up-to-date passport. Yes. The Center for Disease Control (CDC) has a list of shots they advise for travelers visiting Ethiopia. We will talk about this during our first team meeting, but you are welcome to visit the health center before then to begin the immunization process. What is the age requirement to participate in this trip? For this trip we ask that the participants be at least 16 years old. Participants are usually adults. How do I sign up for a Short-Term Trip to Ethiopia? Each trip requires a different set of criteria in their applicants. It is important that we place people on trips that would be the best fit to meet the trip needs. This could include looking for people with specific skill sets or experience or it may be a “newcomers” trip where we want those who are new to the world missions experience. Please keep in mind that we receive more applications than we have availability. Sometimes we simply don’t have enough room to take all applicants. I’m a medical/dental professional, am I limited to participating in a medical/dental focused trip only? No, people with your skills are needed on most trips! 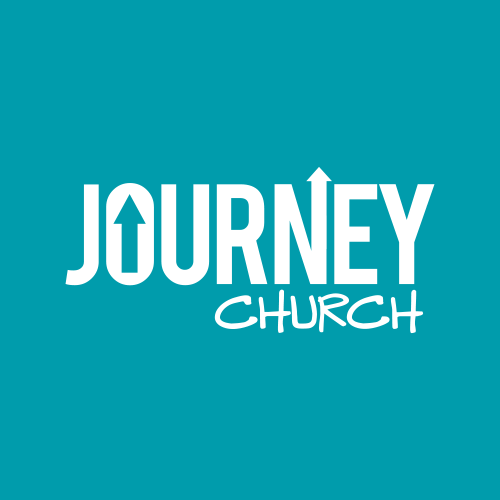 Do I have to attend Journey Church? If you are not chosen, your application goes on a “waiting list.” If another trip leader is still looking for people for his or her team, then they may contact you to see if you are interested. I did not receive a confirmation email. Did my application go through? No. Please fill out the application again. You will receive a confirmation email once your application is submitted. What if you didn’t answer my question(s)? Please check out our handbook here and if you still have questions, please email brandon@journeyweb.net for more details. “Love your neighbor as yourself.” As a body of believers, we sincerely want to express this love to people both near and far. But we’ve also learned that in our desire to help, sometimes we can cause damage we didn’t anticipate. Through prayer, study, and healthy discussion, we’ve developed the following principles to guide us toward an active, compassionate, and helpful way to love our neighbors. We take our guiding principles from the Bible and When Helping Hurts. We recommend reading both! Caring for the body and soul are equally important. The great part about the Gospel is that it emphasizes both word and deed, both the King and the Kingdom. As Christ followers, we should be caring for both the body and the soul. We’re committed to communicating the gospel message and also restoring and developing the broken natural and social aspects of communities both locally and globally. We’re working to understand the difference, enabling us to help, not hurt. Relief is the immediate and temporary provision of emergency (free) aid to reduce immediate suffering from a man-made or natural crisis. Restoration is working with people to restore the positive elements in a community back to their pre-crisis conditions. By recognizing if a project is for relief or restoration helps us determine our approach. We are dedicated to understanding the difference. We can’t do it alone. We’ll make more progress together. We partner with other organizations that complement our strengths. We understand we all have something to offer, and we’ll team up with groups who specialize in planting churches, offering relief, developing leaders, and developing communities. When finances are involved in our partnership with an organization, financial accountability is important. The organizations we partner with financially will have systems in place to manage the resources and to effectively report on the goals stated at the beginning of the project. We recognize and affirm what God has placed in others, rather than replacing it. We value the strengths and gifts already at work in individuals and communities, so we’ll identify assets that can be strengthened rather than identify the problems we feel that we can solve. We’ll begin with questions rather than answers, and we’ll seek to involve others in identifying solutions together rather than applying our own blueprint approach. Restoration is a two-way street and it happens through relationship. Poverty is the result of brokenness in our personal lives and in the world around us. It manifests itself in many ways and we all suffer from its effects. For many in the world, poverty results in a lack of material resources. But poverty also manifests in the form of a God-complex, a lack of meaningful relationships, a lack of purpose, materialistic values, and so on. Because we all experience poverty in some way, we embrace our mutual brokenness and recognize that poverty alleviation and community development should help everyone involved to be more of who God made them to be. In doing so, we will avoid a paternalistic approach to helping others. The playing field is level, and we need each other equally.